SKILL SHOT 50 November 2017 © Chow Chow Productions PO Box 20204 Seattle WA 98102 Skill Shot this issue: Gordon Gordon, Bernard Boulevard, Nosebleed Larson, Graham Klym, Andrew Cole, Kayla Greet, Justin Blau, Aaron McAbee, Levi Lowe, Michael Adcock, Groper, Sagel Frazier and everyone who helps fold and distribute the zine! Contact email: editor@skill-shot.com. 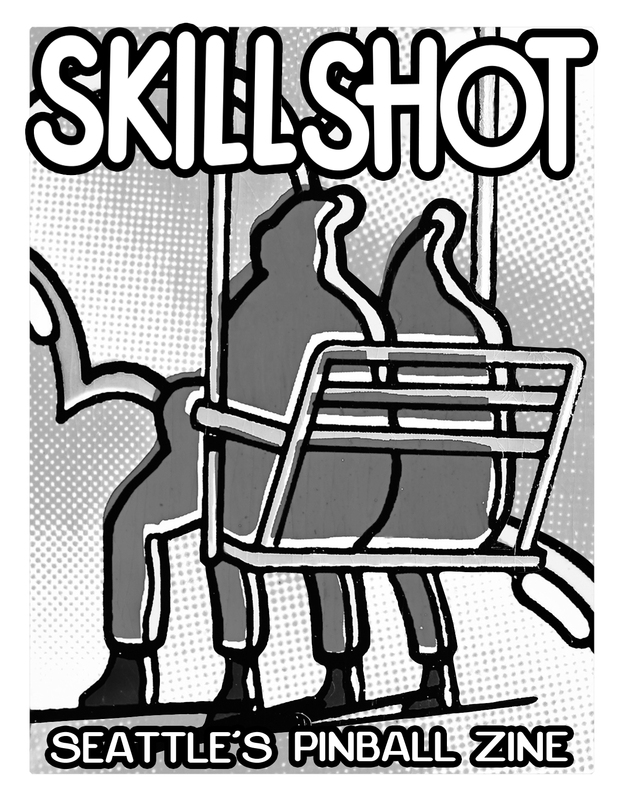 On the Web: www.skill-shot.com, on facebook: Skill Shot. Cover image: Bally’s Hot Doggin’ (1979) art by Greg Freres, photo by Justin Blau; List collage: Gottlieb’s Street Fighter II (1993), art by David Moore, Constantino Mitchell and Jeanine Mitchell, photos by Ian F McKinnon.